With sell out shows in Australia’s capital cities, Boy and Bear are heading to Hobart’s Wrest Point Showroom this November to rock Tassie fans with their Under a Southern Sun tour. Singer/ songwriter Dave Hosking overcomes a massive hangover to chat about his experiences with Boy and Bear. Boy and Bear broke onto the scene in 2009, and the all-male Sydney band have since scored five ARIAs for their Indie-folk hits. After the success of their 2011 debut LP Moonfire, Boy and Bear are back with newly released Harlequin Dream, and Dave reflects on how much he’s grown during Boy and Bears’ earliest years. “I’ve learned a hell of a lot from things like songwriting and touring, to performance, to people management, and effectively working with teams,” Dave says. While Dave considers himself lucky to have started out with a bang, he is conscious of the difficulties faced by modern musicians who enter a rapidly evolving industry that’s betrayed by piracy and grows increasingly competitive. “If you decide you want to become a musician then you’re already moving into an unstable environment – you’ve picked a fairly difficult occupation to try and make a buck out of,” Dave acknowledges. While the music industry is changing shape around Boy and Bear, the band are also keeping up as they evolve and experiment within the realms of their flagrantly Indie sound. “I think we’ll always experiment to some extent,” Dave says. Dave is optimistic that the band will meet any challenge eye to eye with the ultimate aim of becoming an iconic Australian band – and they’re well and truly on their way. Dave’s ambition has so far met with success, and new release Harlequin Dream topped the ARIA Album Chart in its first week running. Over a period of seven months, Boy and Bear worked in Sydney’s Alberts Studio to record the LP in the same workspace used by AC/DC, the Easybeats, and other classic Aussie bands. “It was a beautiful studio, and it was familiar to us,” Dave says. After the recording, Dave travelled to Bali to recover in style, and has since regained his marbles with some healthy exercise. Boy and Bear’s efforts can be seen when they hit the Tassie stage for their Harlequin Dream tour’s Hobart stop – and Dave reveals little about what’s in store. 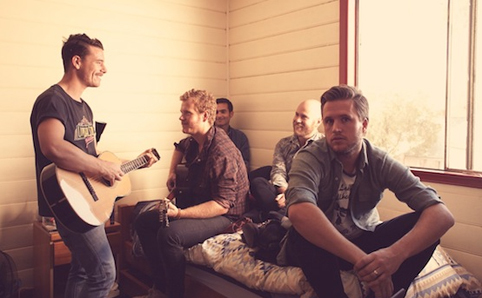 BOY AND BEAR WILL ROAR AT THE WREST POINT SHOWROOM ON NOVEMBER 16 AT 8PM. TICKETS AVAILABLE FROM WWW.TIXTAS.COM.AU.